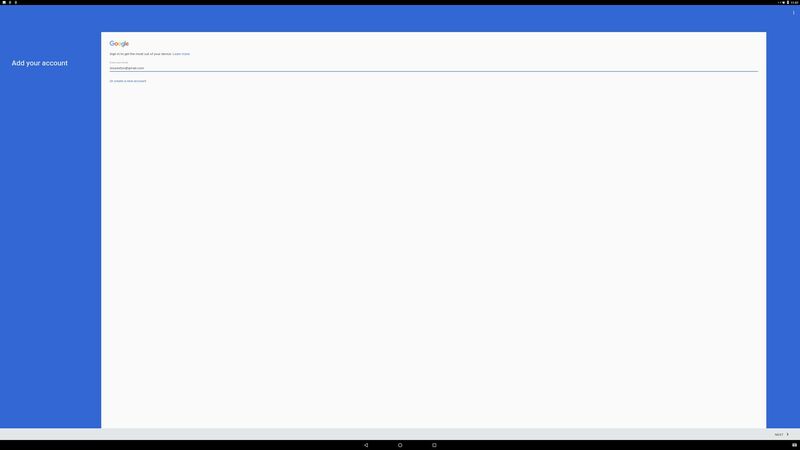 My build of Android-x86_64 Nougat 7.0 has GAPPS pre-installed. I.e. Google Play Services, Google Play Store, Gmail, YouTube and more apps. 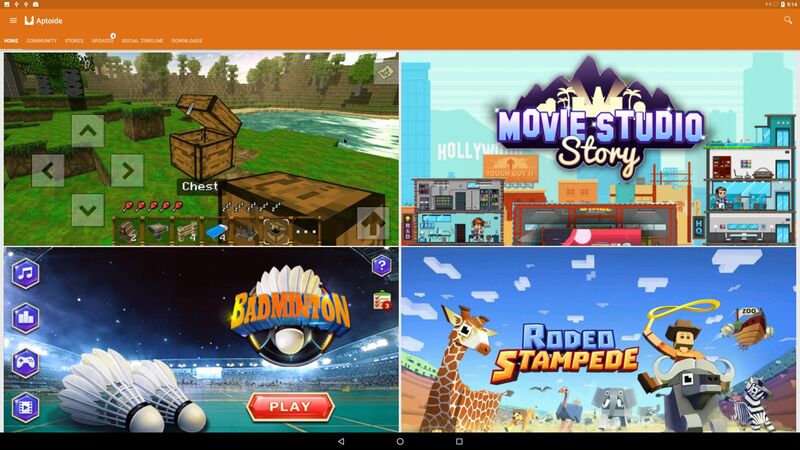 For example: Aptoide App Manager. The ISO is called android-x86_64-7.0-nougat-gapps-exton-build-689mb-160904.iso. My compiled Android-x86_64 system (Nougat 7.0) can run live (from CD) on certain computers. It is best installed to a USB stick or to hard drive and running from there. The system can, however, be installed on almost all newer laptops (and some Desktop computers). For example Acer (Aspire), HP, Samsung, Dell, Toshiba, Lenovo, Thinkpad, Fujitsu, Panasonic and Asus laptops. I can also mention that I could run this Nougat version without problems on a HP Pavilion 500-317no Desktop Computer. I could also run it very well live on the HP Desktop computer. The Android system is distributed in the form of an ISO file as the rest of my Linux distributions. I.e. you must (as usual) burn the ISO file to a CD before you can install AndEX Nougat to hard drive. Read about how to burn ISO files. Or skip that. Just use ImgBurn. Nothing can go wrong. You can also download my Android Nougat system in the form of a zip-file (android-x86_64-7.0-nougat-gapps-exton-build-731mb-160904.zip) and do a manual installation to hard drive. That can even be done to a drive where you already have another Linux system (for example Ubuntu 16.04) installed. Read more about different installations below. Android Nougat 7.0 was released 160822. Nougat 7.0 is the latest version of the Android mobile operating system developed by Google. I call my remaster of it AndEX Nougat. It uses “my” special kernel 4.4.19-exton-android-x86_64 with some extra features. I.e. extra drivers. 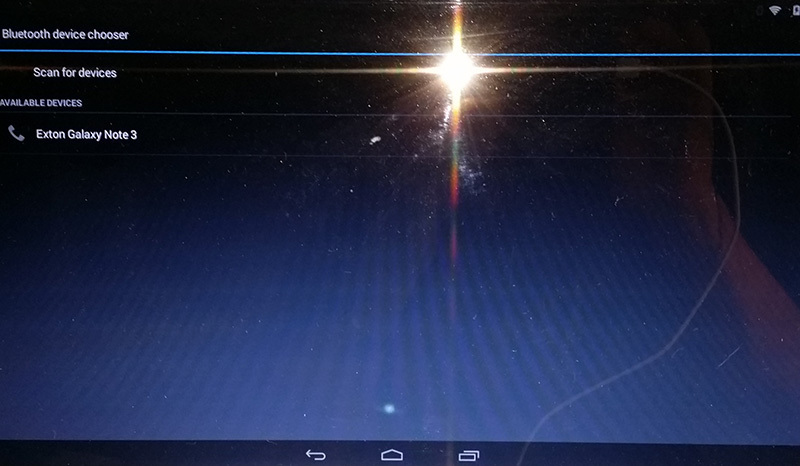 My Android-x86 KitKat 4.4.4 build from 2016-02-14 will also cost you 9 $. 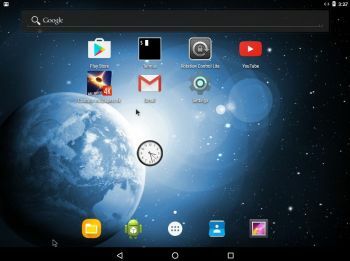 It has two advantages over the Nougat and Marshmallow versions: The system can be used also on older laptops and it runs very well live in VirtualBox. 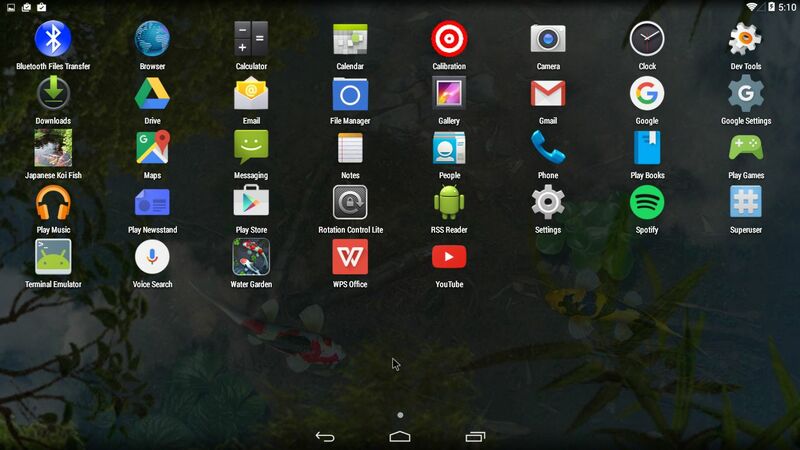 Read more about the KitKat 4.4.4 version 160214 or DOWNLOAD it instantly. Say for example that you have a laptop with Windows 10 installed as the only operating system. If you just create one extra partition of about 5 GB you can install Android Nougat on this extra partition and then “dual-boot”. I.e. you can turn on your computer (called “booting it up”) and decide whether you want to start Windows or Android Nogat. Grub will be installed as boot handler/loader during the installation of Android Nougat. Note: The installation will take only about one minute. And the installation to hard drive is so simple that a 10 year old child can do it. When you unzip android-x86_64-7.0-nougat-gapps-exton-build-731mb-160904.zip you will have a folder called NOUGAT-160904. It has five files, namely data (folder), system (folder), initrd.img, kernel and ramdisk.img. Please note that this Nougat system has more apps pre-installed than what is in the system on the ISO file. If you have installed AndEX Nougat from CD you can simply replace the system folder in the folder android-2016-09-04 with the one in the folder NOUGAT-160904. You can also choose to place the folder NOUGAT-160904 on an empty ext4-formatted partition and/or in the root of another installed Linux system on your computer. If you have (for example) Ubuntu 16.04 installed on /dev/sda5 the Grub2 boot lines would look like this. 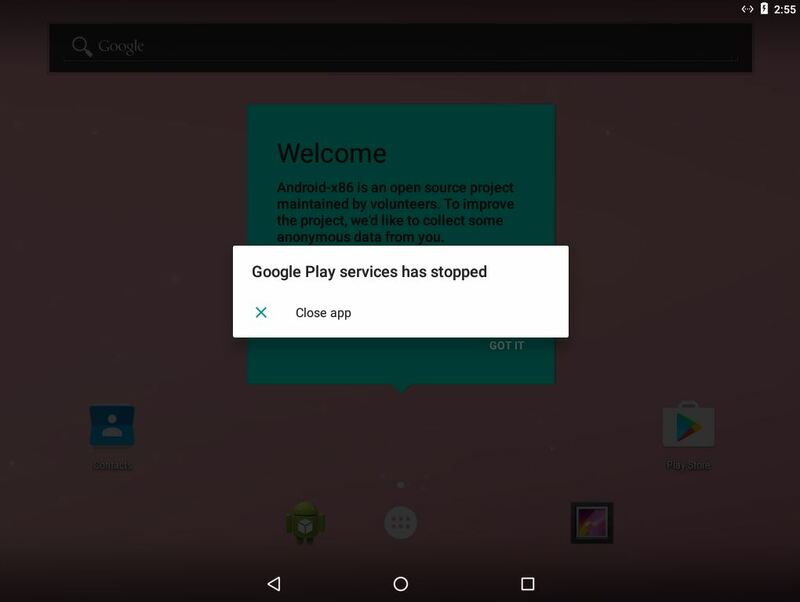 When you start up AndEX Nougat for the first time from hard drive (or from a USB stick) you will see a error message saying that Google Play Services has stopped. 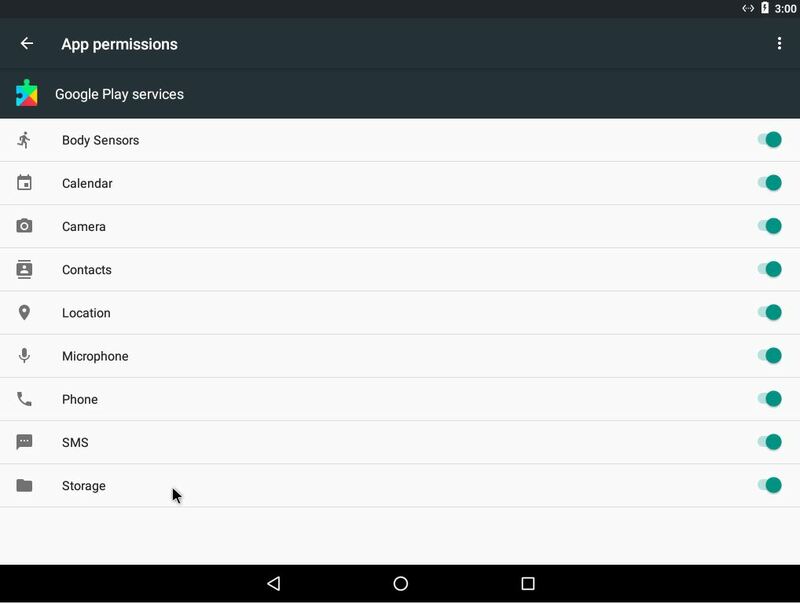 You must then go to Settings >> Apps >> Google Play Services and give Google Play Services all permissions. After that you won’t see this error message again. 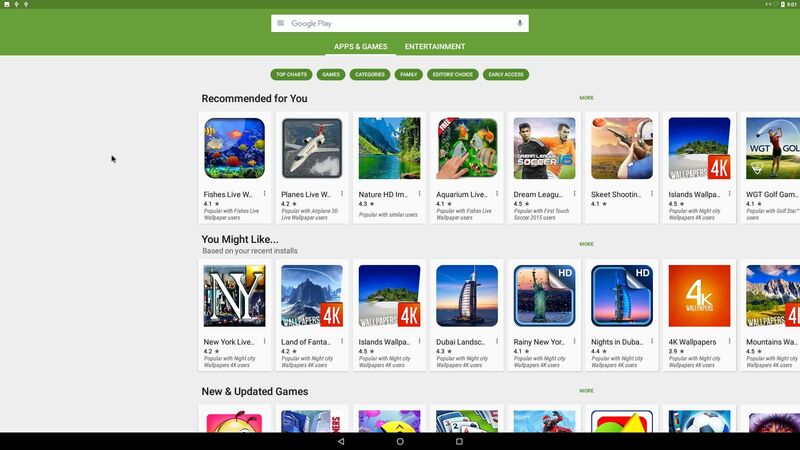 Note: Google Play Services is needed for all GAPPS to work, for example Google Play Store. You can run AndEX Nougat live in VirtualBox. I.e. the system will start up properly, but you can’t install any new apps. You can, however, test run Web Browsers, YouTube and other apps. Once installed to hard drive (virtually) in VirtualBox the system works very well. Note: My Lollipop (160215) and KitKat (160214) versions can also run very well in VirtualBox. 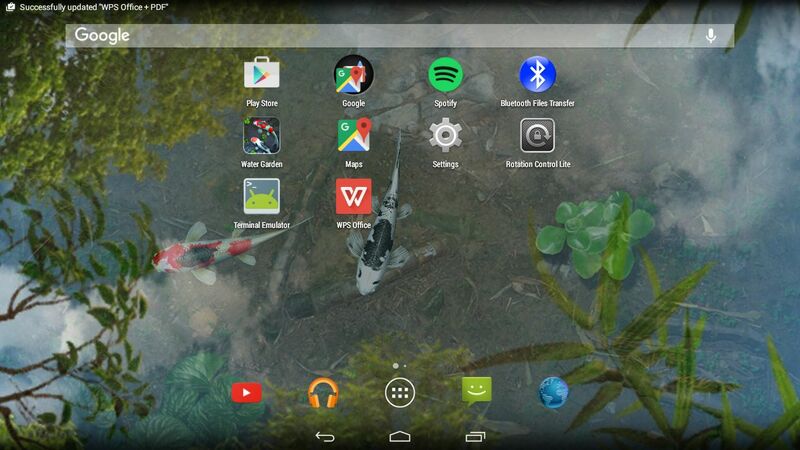 The Lollipop and KitKat systems can also run very well live in VirtualBox. Well, if you like your Android phone and all the apps you have installed on it I’m sure you will also like to run apps from your laptop. Bigger screen and better sound etc. Also: In AndEX Nougat Build 160904 almost all apps and games can be installed via Google Play Store. Still not convinced? Then read my article about “How useful an Androx-x86 system can be for the average computer user“. Note3: Android-x86 KitKat 4.4.4 Exton Build 9 160214 can run on many more laptops/computers than AndEX Nougat 7.0 and/or AndEX (Android-x86) Marshmallow 6.0.1. 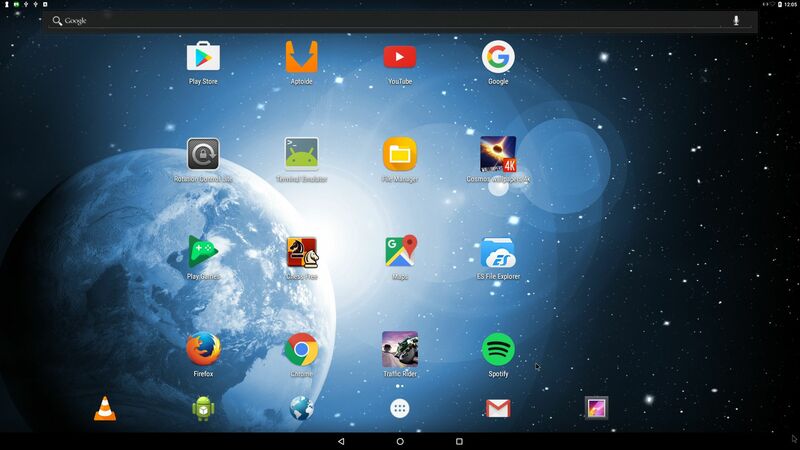 Android-x86 KitKat 4.4.4 Exton build 160125, version 8, is a ready! This version (version 8) replaces all my previous (7) Android-x86 4.4.4 KitKat builds. In version 8 (as in version 7) I’ve added GAPPS. I.e. Google Play Services, Google Play Store, Maps, YouTube and more apps (for example Bluetooth File Transfer, Spotify and WPS Office). Everything just works. My KitKat Build 8 is based on the Android-x86 Project – Run Android on your PC. So is my other Android x86 builds. When the system has booted up you will normally be asked to configure you wireless network. Unfortunately the Android-x86 project doesn’t support Broadcom wifi cards. Necessary Broadcom drivers can be installed in other Linux systems (for example in Ubuntu), but not (yet) in an Android-x86 system. So if you have a Broadcom wireless card and want to run my KitKat build 8 you’ll have to use a wired connection. I can mention that this KitKat Build 8 works on my old Acer Aspire 5102WLMi AMD with ATI Radeon Xpress 1100. Many 3D games run just fine. This build (8) has been replaced by Build 9 from 160214.